A Presidency is an important moment for EU Countries. It allows them to impact Europe’s agenda and raise their profile in international politics. EU Presidency meetings feature a vast number of nationalities and languages, so interpretation is a critical element. The European Union’s rotating Presidency is awarded to a different member country every six months. 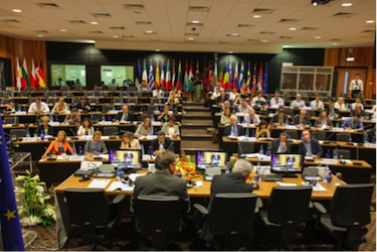 During its Presidency each country is responsible for chairing meetings of the Council of the European Union, facilitating dialogue within the Council and across a multitude of meetings and events with European countries, institutions and the private sector. A Presidency is an important moment for EU Countries. 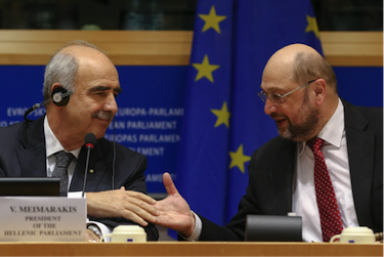 It allows them to impact Europe’s agenda and raise their profile in international politics. EU Presidency meetings feature a vast number of nationalities and languages, so interpretation is a critical element. Meetings concern many different subjects, including topics of a very technical nature. Some meetings are organized and staffed directly by the European Commission while others are entrusted to private interpretation providers through a tendering procedure. 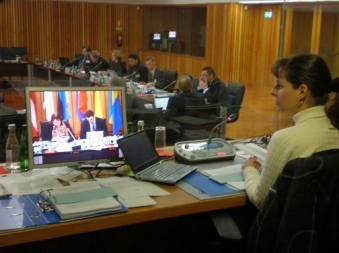 Governments and Ministries trust Calliope, just like they trust the European Commission’s interpreting service, to source interpreters for high-level meetings in up to 23 languages. 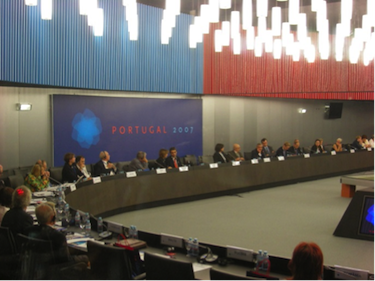 Calliope made a sizable contribution to the 2007 Portuguese Presidency with almost 300 interpreting days in up to 8 languages provided by Laurence Corréard, Calliope member for Portugal. ”I would like to emphasize that the commitment and flexibility of the interpreters throughout the Portuguese EU Presidency were key elements in its success. A global network provides genuine value-added in a country with a relatively small number of high-caliber professional interpreters." 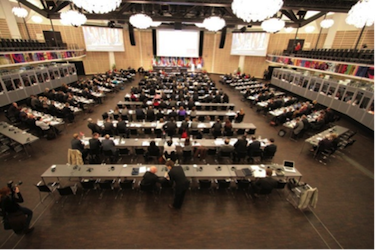 It was up to Linda Hoffmeyer, Calliope member for Denmark, to organize and field teams of interpreters for all meetings of the Danish Parliament, including the COSAC meeting, a high-profile event which required interpretation in all 23 official EU languages. Birgitte Wern, Head of the Language department, The Danish Parliament. In 2013, some 90 interpreting days in up to 5 languages were awarded to Alexandra Hambling, Calliope member for Ireland. Haris Ghinos, Calliope member for Greece, provided about 180 interpreter-days for events organized in the context of the Hellenic Presidency in German, English, French, Italian, Spanish, Polish and Greek. Additional interpretation and translation services were provided to many events directly or indirectly linked with the EU Presidency. << Back to list of "Major projects"